Friday was a momentous day. It as the first time in FIFTEEN YEARS that I have been home without children. I've been home schooling my daughter Anna the last few years, but on Tuesday she went back to school. Then on Friday, my daughter Naomi had her first day of kindergarten. I'm home with a quiet house and my beautiful laptop! Think I'll be able to get some writing done now? And maybe squeeze in an occasional blog post? ...Back in Hong Kong, that is. Yesterday morning I got to talk about Red Butterfly at International Christian School (ICS), where I attended 10th through 12th grade. My sister is a middle school science teacher at ICS now, and my mom works in the HR department. ICS has changed a lot since I went there. The school is housed in a beautiful, huge campus in Sha Tin now. Quite a difference from the tiny facilities we rented near Kai Tak Airport as a fledgling school in the 1990's. But I felt so welcomed by the students and staff. And it's great to be back in Hong Kong. Four years ago, I brought my oldest daughter, Olivia. Two years ago, I brought my son, Gabe. And this time it's my daughter Anna's turn. Everything is familiar here. Even though my parents have moved from the flat where I lived in high school, Hong Kong feels the same. The koel birds still call from the trees. The sidewalks are patched and uneven in a uniquely Hong Kong way. The smells are the same--the pungent white flowers in the muggy air. My parents live in Tai Po in the New Territories. The clouds are low on the hills covered in jungle and old-growth forest. Everything is alive. It's such a change from the desert. Today we have a day off, so we're taking a ferry to the island of Cheung Chau with my parents and sister. I want to show Anna the pirate caves that fascinated me as a child. His accent was irresistible. Sandra Dellacourte could hardly believe she was talking to a real, breathing foreigner. From France! Sandra Dellacourte pulled a fresh pickle from the jar and held it under the Frenchman’s nose. Sandra withdrew the pickle and hugged the jar. “No, ma’am. Just making friends. Being neighborly.” She fluffed at her hair with her forearm. After all, it was difficult to fluff hair when you’re holding two pickles, a pickle jar, and a hanky. “Do I look scary to you?” Sandra Dellacourte glared across the grass at Meredith Zellinski. Sandra’s feet were beginning to sweat in her panda slippers, due to the warmth of the summer sun. Mr. Babineaux was starting to sweat, too. Beads of perspiration glistened on his forehead and above his upper lip. Sandra readied her hanky. Out of the corner of her eye, Sandra saw Meredith Zellinski roll her eyes and go back to her roses. Sandra was fairly certain she heard the word obtuse muttered. Her lips tightened over her recently bleached teeth. But no, now was not the time to give Meredith Zellinski a piece of her mind. There was a gentleman standing here, a gentleman whom Sandra was sure she could convert to a pickle preference, or die trying. “How long are you in town, Monsieur Babineaux?” Sandra asked, batting her falsies. “A dot com site!” Sandra breathed, her eyes shifting. She had to admit it was brilliant. He scuttled away, clutching his briefcase to his chest as though it were a shield. Sandra watched him round the corner at the end of the road. She took another bite of her crisp, luscious, award-winning pickle, and sighed. Brandi cupped the base of the man’s skull, resting her other hand on his forehead. His skin under her palms was leathery, and as much as she tried to breathe in a different direction, she couldn’t lose the strong odor of petroleum that seemed to leak from his pores. A headache was starting behind her eyes. She glanced back at the clock. Only ten minutes more. Brandi kneaded harder. Her hands strong from practice, she usually enjoyed the movement and quiet of the massage room. But today she ached simply because of the long dragging minutes, as if the hands of the clock were weighted with bricks. “What was that?” he barked. Had she said it out loud? Music tinkled. Waves rushed in and out. Exotic birds chattered. It was all a CD. Brandi would have liked to have been on a real beach somewhere tropical. She imagined herself in a bathing suit with a sarong tied at her waist, her massage chair set under a cabana. She’d work a twelve-hour day in those conditions, no complaints. And she’d bet money that her clients would be a lot more laid back. Not like this old curmudgeon. Brandi’s eyes darted to the clock. Eight more minutes. Brandi wondered who wouldn’t want to live in San Diego. Brandi stifled a laugh. She covered it with a cough. Three minutes. Lapping waves. The coarseness of beach sand. An ocean breeze. She saw all Katie’s pictures on Facebook. Katie seemed to smile a lot. Katie had a tan. Brandi stared at her own white arm. “Did I?” She laughed. Honestly laughed. One minute left. One measly minute. Would he notice if she stopped one minute early? Probably. She swiped down Mr. Cross’s back with her fingertips. He got up grumbling. He paid grumbling. And did not leave a tip. But at least he got up. At least he paid. And at least he took that reek of petroleum out with him. As soon as the bell stopped ringing on the slammed door, Brandi opened her laptop. Within moments she was gazing at Katie’s smiling Facebook profile picture. She clicked open a message box, and typed the name. A shot in the dark, but … are you hiring? I'm in limbo while I wait to hear back about a few projects, so I've decided to do some writing prompts to keep me in practice. Some of my Facebook peeps each gave me three words to use for inspiration. These will be super-short pieces of fiction. Not necessarily polished. Read at your own risk. Sweden in January was supposed to be a beautiful experience. It is beautiful, these fields of white. It was supposed to stretch my mind. Something about lights, green lights, dancing in the sky. Something about an ancient ship. Viking castles. My mind is stretched … but too far. I’ve lost it somewhere. Maybe when I sat down and couldn’t make myself get back up, that’s when I set my mind down and forgot to pick it up again. There is a man here. Yes, he’s been here, but I don’t know how long. He is the one talking. His lips move and sounds come out. I assumed it was his accent that made old sound cold. “I can’t really tell.” Are my feet even there? I look to make sure, but everything is under snow. The sky crinkles with darkness at the edges. I shake my head, and begin to speak, but the words evaporate on my tongue. Something about my mother telling me the same thing. Wear your hat, wear your mittens…. With a grunt, he lifts me, snow shoes squeaking. I have exciting news for all you teachers out there. There's now a Common Core-friendly curriculum guide for Red Butterfly! I'm planning to add an Education Resources tab to my blog where there will be a permanent link. I hope this is helpful -- and please let me know if you have any questions. Thanks so much to the folks at Simon & Schuster BFYR, and to Librarian Kathleen Odean for putting this together. Welcome to my blog! 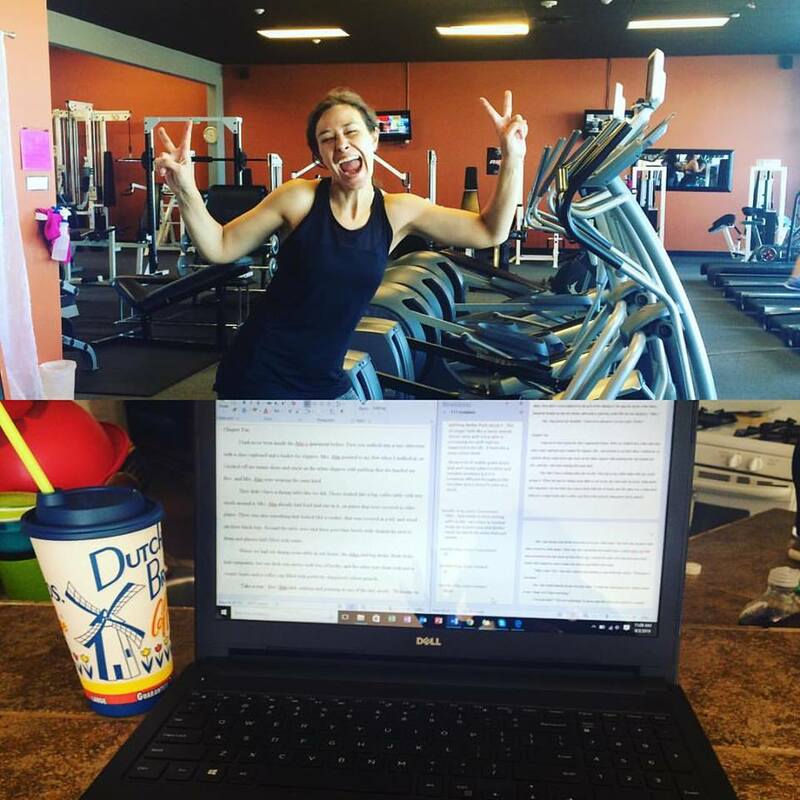 I'm a Hong Kong-raised mom of 5, football coach's wife, and Brussels sprouts-addicted MG writer represented by Kate Schafer Testerman of kt literary. 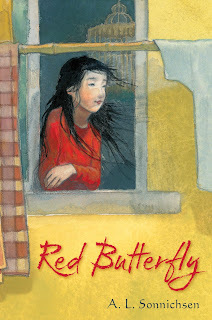 My MG verse novel, RED BUTTERFLY (Simon & Schuster BFYR), is available wherever books are sold. 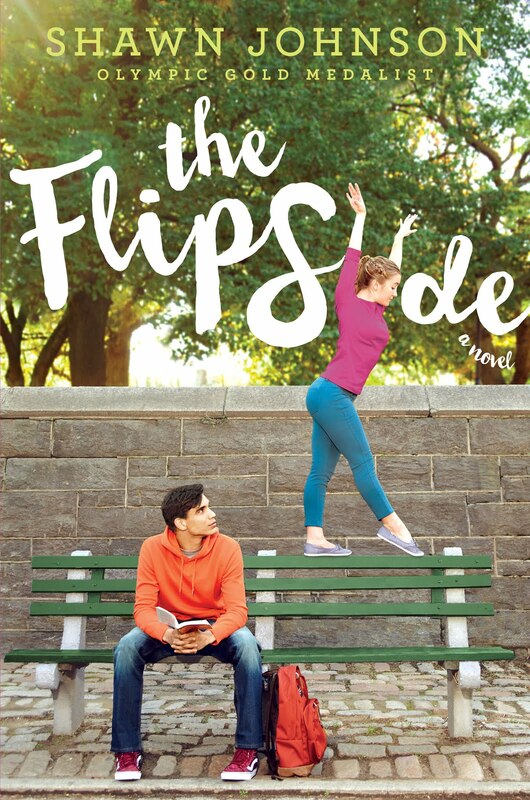 I also co-wrote a YA novel with Olympic gymnast Shawn Johnson called THE FLIP SIDE (Simon & Schuster BFYR). Contact me by email: a2sonnichsen (at) gmail (dot) com.